James W. Wagner, PhD, an award-winning teacher and scientist, became the 19th president of Emory University on September 1, 2003. Born and reared in Silver Spring, Maryland, Dr. Wagner earned his bachelor's degree in electrical engineering in 1975 from the University of Delaware and a master's degree in clinical engineering in 1978 from The Johns Hopkins University School of Medicine. In 1984, he completed his PhD degree in materials science and engineering from Johns Hopkins. Following a distinguished tenure on the faculty of Johns Hopkins, Dr. Wagner served as dean, provost, and interim president of Case Western Reserve University. How did you get into the academic industry? I began my professional career as an engineer in the medical device laboratories of the FDA. In its development and application of nondestructive evaluation laboratory techniques, that lab worked closely with the Johns Hopkins University Department of Materials Science, Department of Biomedical Engineering, and its Center for Nondestructive Evaluation. Through nine years of service to the federal government and a couple of graduate degrees later, I discovered a passion for teaching and discovery that led me to accept an assistant professorship at Hopkins. What is your vision for Emory University? It was a pleasure 11 years ago to be part of an effort to help shape a statement of vision for Emory. It calls our University increasingly to be a courageous and collaborative academic destination with global impact and local community values of inquiry, diversity, and ethical engagement. It is a good exercise to assess from time to time how it is our universities both serve as destinations and offer resources that have impact. Since becoming President, what strategies have you implemented that have attributed to your success for higher education? If, by this question, you're asking about the University's strategies, our ten-year University wide strategic plan wraps up this year. Its strategic themes challenged and attempted to enable our community to confront the human condition and human experience, to explore new frontiers in science and technology, to create community, strengthen faculty distinction, and ensure highest student quality and student experience. But if you are asking what the presidential strategic priorities have been, they have been 1) to be the chief advocate for the discipline of adhering to our vision and mission; 2) to work diligently to maintain the quality of university leadership; and 3) to work to ensure the success of others (very often through fundraising). 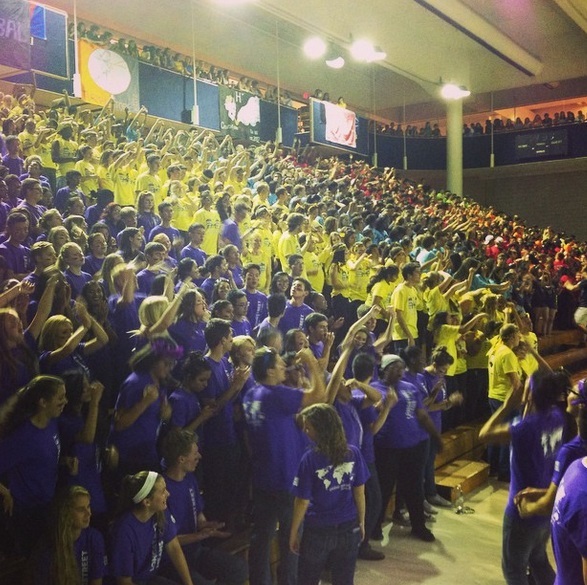 Emory is known for having one of the largest endowment funds, how did you achieve this? Emory is very fortunate to have a sizable endowment, ranking in size somewhere around 20th in the country. Throughout its existence since 1836, Emory, like so many private institutions, has been dependent on philanthropy. And in Emory's case, philanthropy has been not only crucial but generously forthcoming. Perhaps the most celebrated gift to endowment was made in 1979 by the Woodruff family, who donated $105 million of Coca-Cola stock. At that time, it was the largest private donation given to any US university ever. Your proudest moment as President? Proudest moments for me are when Emory responds to challenges using its heart as well as its intellect, for example when it discovered that a mummy that had come into its possession turned out to be the long-lost remains of the patriarch of the Ramessean Dynasty in Egypt, and so Emory returned it to Egypt; or when asked if we could care for Ebola patients while caring also for the safety of our community, and Emory answered yes. Your most difficult and how did you learn from it? Most difficult times have been those when my own words or actions have hurt or embarrassed the Emory community. I have learned lessons of humility, but humility distinct from timidity. The fear of the occasional and inevitable failures must not take away our courage. Rather, humility, courageously practiced, can help mitigate against failure. What education issues/trends have you noticed and how do you capitalize on them? I will try to resist an overly long answer here. One obvious trend is associated with the growing prevalence and utility of communication technology. It seems to me that the opportunity here is to imagine that, in addition to the five natural senses, students of today are developing a sixth sense which is based in technology. Today’s students are able to sense and interact powerfully with the world around them and with each other through this sixth (electronic) sense. There is great opportunity to include that sixth sense in the ways that we teach, create, preserve, and apply knowledge. Another trend is the changing nature of the focus that students bring with them to their college and university experiences. Too often that focus is on achieving a narrow definition of success provided by popular social values. Our challenge is to help both our students and society more broadly consider the value of making a life as much as making a living, enjoying life not just surviving it. 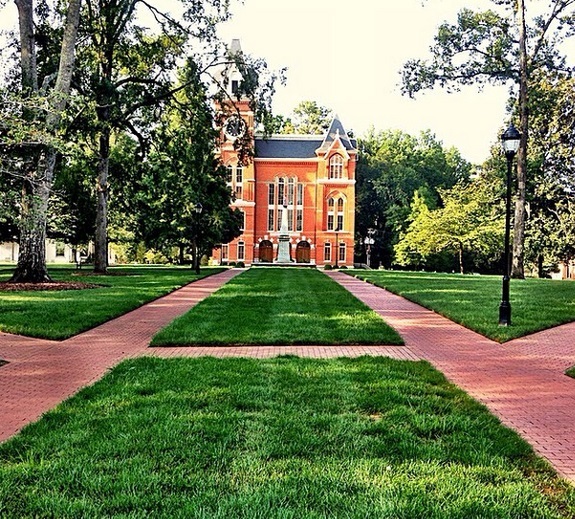 Your advice for one applying to Emory? Be sure to visit. Emory is a residential campus where place and community are very important. Remember that the goal of the application process here, as in many places, is to work with you to ensure that there exists a good fit, that students who come here have the highest prospects not just of graduating but of flourishing. Your advice for an aspiring educator/entrepreneur? The natural gift of the entrepreneur is not that much different from that of the educator. Both have gifts that enable them to envision something new and better. But being creative and visionary is risky. Take that risk anyway. There is something both awe-inspiring and deeply peaceful about nature. I enjoy the mountains, woodlands, and the beach. The bed stand is cluttered with everything from back issues of astronomy and antique car magazines to a copy of the Bible, some scripture commentary, and an unfinished novel. At present that unfinished novel is Imperium by Robert Harris. In the queue are books that have been recommended to me, like Every Man Dies Alone by Hans Fallada and Excellent Sheep: The Miseducation of the American Elite and the Way to a Meaningful Life by William Deresiewicz. I could eat all day long just about any tree nut that you would care to name. A full-bodied red wine would complement those well. Just this week I read that the Voyager 1 spacecraft, launched in 1977 and passing Neptune in 1989, may not yet have broken into interstellar space as previously reported. Traveling for 37 years at speeds nearing 40,000 mph and not yet escaping into interstellar space boggles my mind. It is humbling. I’ve benefited from the wise guidance of many mentors. Among university leaders, role models include the late Chuck Vest (former president of MIT), Jim Laney (former president of Emory), and Tom Burish (now provost at Notre Dame) – true gentlemen and scholars all. For a personal role model, it would be hard to ask for more than the example given by my father. 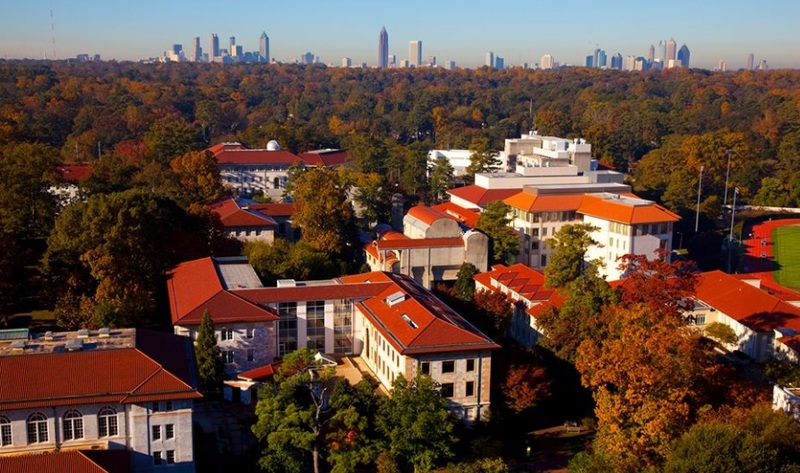 What's next for Emory University? Emory’s star is rising, and so is her obligation to make even greater impact. As the aspirations of the institution are owned ever more deeply within the faculty and staff and students, there will be opportunities for leaders to challenge Emory with even higher visions and greater aspirations. It will be a deep pleasure to pass the baton at that time. Dr. Wagner has authored more than 115 publications and has served as editor or editorial board member for several serial publications. His research interests and activities have stemmed in part from his early employment with the U.S. Food and Drug Administration, where he developed quality-assurance methods and performed failure analyses on medical devices. At Johns Hopkins his research focused on optical and microwave methods for sensing strains and displacements in materials and structures. In 2007, Dr. Wagner received the Distinguished Alumnus Award from the Johns Hopkins University Whiting School of Engineering and the Johns Hopkins Alumni Association. In the spring of 2009, he was elected as a Fellow in the American Academy of Arts and Sciences. Dr. Wagner was honored to receive the President's Award of the National Association of Student Personnel Administrators for Region III in the summer of 2011. In 2012, Dr. Wagner was awarded an honorary doctor of engineering degree from the University of Notre Dame. He was elected in 2012 as a Charter Fellow of the National Academy of Inventors. Throughout his administrative career, Dr. Wagner has worked closely with faculty, students, alumni, and staff to enhance the undergraduate educational experience, grow research, and foster more effective partnership between the academy and local institutions, including government and industry. Out of a firm devotion to the ancient university mission of liberal education -- which he defines as mastering a discipline and developing a thirst for new knowledge -- Dr. Wagner has been able to forge collaborations among a diverse array of schools and programs, ranging from the arts and sciences to the professional schools. He also had gained significant experience in raising funds from private philanthropic sources. All of these notes resonated with the priorities of the institution in 2003. As one of his first steps, President Wagner set in motion a campus-wide initiative to develop a clear vision statement intended to serve as the polestar for Emory's development over the next decade. Having achieved widespread and deep participation in this effort, he searched for and appointed a new provost and a new senior vice president for development and University relations to complete his leadership team. With those persons in place, the University launched a year-long strategic-planning process to serve as the basis for a comprehensive financial campaign. Along the way, the president has won high marks for rolling up his sleeves and engaging very deeply with faculty, staff, and students -- occasionally rehearsing with student a capella groups, regularly meeting with faculty leadership and departments on matters of intense controversy -- seeking to involve the community in full and mutually accountable collaboration. Reviving an Emory tradition, President Wagner has delivered the address at each of the baccalaureate services for graduating College seniors since his arrival at Emory. An elder in the Presbyterian church (in which his wife, Debbie, is a seasoned professional Christian educator), he finds particularly attractive Emory's blend of rigorous intellectual inquiry and ethical engagement. Currently Dr. Wagner serves on the boards of The Carter Center, the Georgia Research Alliance, SunTrust Banks, and the Metro Atlanta Chamber of Commerce. In 2009, he was honored to be appointed by U.S. President Barack Obama to serve as Vice-Chair of the Presidential Commission for the Study of Bioethical Issues.